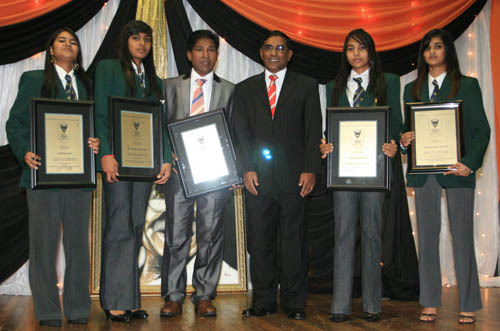 KZN Proteas superstars Riasha Singh, Mishka Chunilal ,Sharenya Naidoo and Trina Oree were honored by SACOC at a glittering banquet hosted by the SKISA trust on Sunday night at a local hotel. Member of the SACOC board Mubarak Mohamed who was VIP guest at the function paid glowing tribute to the 4 girls who were unfairly axed from the Protea Team in 2011 scheduled to fight in the World Championships in Malaysia. He thereafter presented OUTSTANDING CONTRIBUTION AWARDS commending the 4 athletes who were prejudiced in view of nepotism and discrimination practiced by the former NEC of KSA. SASCOC also honored newly elected Vice President of KSA Kyoshi Sonny Pillay for taking up the fight for justice on behalf of the four top ranked fighters of SA with the former NEC dictatorship of KSA. 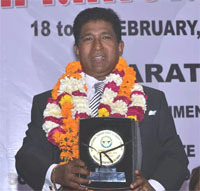 Mubarak Mohamed chair of the dispute resolution and ethics committee of SASCOC heaped praise on Kyoshi Pillay for his courage ,determination and tenacity and presented a Meritorious Award to the SA karate legend. 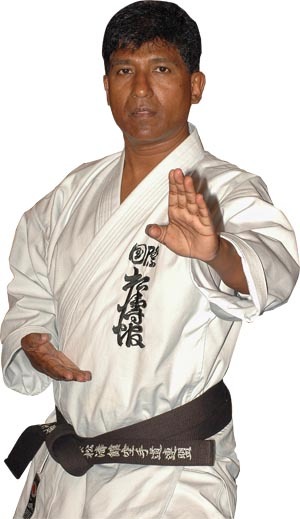 After more than 40 years practising the art of karate and numerous awards and international acclamation, it seemed only natural when Kyoshi Sonny Pillay was recently elected Vice President of Karate South Africa (KSA) . 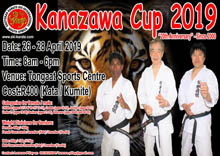 The announcement was made on 17th March at the annual general meeting of Karate South Africa, who are the national governing body for all karate in the country,conducted by the South African Sports Confederation(SASCOC) in Gauteng . 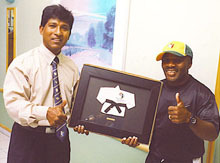 The new post as, arguably, the second most prominent karate leader in the country (Cape towns Mary Ann Landers was elected President) resulted in tidings and nods of approval(tributes) pouring in for Kyoshi Pillay from sources as diverse as the presidents of Shotokan Karate organisations of Cameroon, Mauritius,Madagaskar and Tanzania, to karate leaders in India, and even from international doyenne of Shotokan karate, Manabu Murakami, from world fed SKIF Japan. And poor governance . ““Some members of the KSA NEC who acted unilaterally in many respects have had to ‘bite the dust’, as all those implicated were unsuccessful in their attempt to be re- elected at the said AGM and now await their fate in respect of the findings of Deloitte and Touché who have been tasked to carry out the forensic audit. Congratulations to you that our Protea Girls deserved what they justly earned through hard work and dedication to the Sport of Karate . The cliche "what goes around comes around' aptly describes the turn of events and justice has prevailed. Keep up the good work, girls and continue to make us proud. 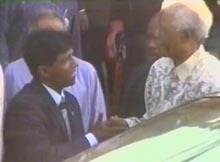 Kyoshi Sonny Pillay, take a bow, Sir, since you are the spearhead that oversees 'fair play' in all spheres of our lives. I'm very happy, this is a big news and due to yr long hard works in karate. I was with a deep sense of pride when I read the Sunday Times of your long overdue election to the August body of karate in South Africa. Had you been of a different birth origin you would have been recognised a long time ago. However.you are in the sport for the upliftment of society with no expectation of title.fame or glory. You are true son of the struggle-struggle to empower the youth. Sunny u deserve the glory. It is a great achivement of our Master. God has graced you with this honour of Vice President of National Karate of South Africa. This is due to your sincere services towards Karate. Very many congrats on this occasion from our team. My sincerest congrats to you on your appointment as the vice president of KSA. It is a tribute for your outstanding contribution made in promoting Karate in and out South Africa. CONGRATULATIONS- you deserve this profound accolade!!! After to many years doing karate and organizing all around the world karate seminars, championships, teams we are very happy for this news. Keyvan Ghazi - Chief Instructor Greece SKI. sport director of elok(w.k.f)of greece. Congratulations for your election as vice president south africa natonal karate federation. The president,director,chief instructor and members of the All Mauritius Gojukai Karate Do Association are proud of your achievement we wish that you will as usual strive to strengthen the relationship between our federations. we are convinced that you will serve karate and your country to the best of your ability. 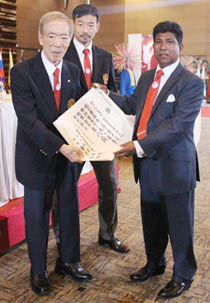 Dear Kyoshi CONGRATULATION FOR YOUR ELECTION AS VP of National federation of karate of South Africa. I mind your experience bringing high all karate of South Africa in particular and Africa karate in general all over the world. Congratulations on your appointment as Vice President of South Africa National Karate Federation. Well-done!! Kancho Kanazawa would be very happy to hear this wonderful news. This is the result from your long time hard work. Looking forward to seeing you again next month. Congratulations again. which Karate as a sport will benefit from. Congratulations on your election victory as Vice President of KSA from all of us at To-Shin Do South Africa. I think the position of Vice President of Karate South Africa is indeed an achievement of the highest honour. I have seen in the past 6 years how you have taken SKISA to new heights. 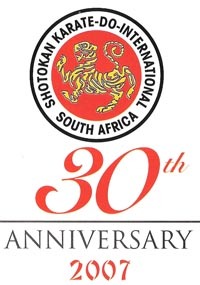 It is now time for you to show your true worth to the rest of South Africa and the International Karate Federation. May the Good Lord bless you so your achievements continue to grow from strength to strength. Congratulations on your appointment, and we think it is deserving of your character , skills , knowledge , organisational skills and leadership . You will make huge contributions of which Karate and the students will benefit from. May God Bless you , guide you and keep you strong to make the difference in our community , in our Region and our Country. WELL DONE – YOU ARE THE RIGHT PERSON FOR THE JOB AND WE KNOW YOU WILL DO US PROUD. Congratulations on your Appointment as Vice President of Karate South Africa . We cannot think of a more deserving and self-righteous candidate. Here’s to you and the SKISA family. May you grow from strength to strength. 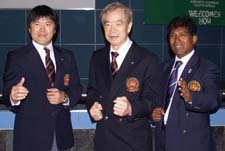 Congratulations Kyoshi on your appointment as V President of the national karate fed Karate South Africa . It is not only your success but the success of all those previously disadvantaged. You have gone against all odds to fight against discrimination especially in Karate. A post most well deserved and about time should I add. It could not have been gone to someone better who could bring about a transformation. Imagine KSA operating successfully like SKISA does. I am most proud to be associated with someone of your being. A MASSIVE congratulations to you and your family on your appointment as VP of KSA! You are a huge asset to the SKISA family and a wonderful ambassador of all sport, in our country, SA! We look forward to being part of your success and that of SKISA, for many years to come. Congratulations on this wonderful election as VP of KSA. Only a person honest dedicated true to Karate can acheive this distinction. Wishing you every success in this great portfolio and may you continue to make a significant contribution and add value to this profound sport. I meet him. He may wishing you a good luck and happy about it. I would like to congratulate you from the Bangladesh Shitoryu Karate Federation to be Vice President of Karate South Africa KSA. This is a great achievement and proper honor for Kyoshi. Moreover you are the right man for the job. Dear Shihan sorry for late reply!!! congratulations as vice president of KSA,they could not off picked a better person for this position than you!! I was really blessed to have met you some 25 yrs ago,your acceptance of me (a person from the white community) into SKISA will never be forgotten. Shihan whats sad is when some 20some years ago i went to Springbok trials and beat everyone and was not chosen because my last name was strange to them!!! I am happy that the Protea has replaced the SRINGBOK (emblem of oppression) and you (a member of the previously disadvantaged community) are vice President today just amazing. As you know i am a US Citizen and in all honesty the country and people have been good to me. Shihan it would be great if your guys SKISA can tour USA and we can arrange a meeting and training between the countries! Shihan take care of yourself and my regards to my SKISA family and your lovely wife! !